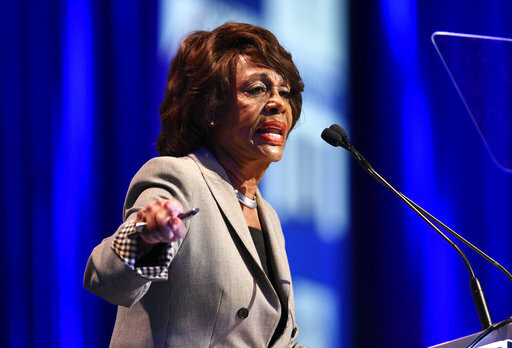 By Bill McCarthy, Amy Sherman on Tuesday, June 26th, 2018 at 2:35 p.m.
U.S. Rep. Maxine Waters, D-Calif., a vocal critic of President Donald Trump, has drawn criticism from both the left and the right for her call to confront members of Trump’s administration. Waters fired back and said that Trump has in the past made comments that were incendiary. Trump responded on Twitter saying that Waters "has just called for harm to supporters, of which there are many, of the Make America Great Again movement. Be careful what you wish for Max!" "I believe in peaceful, very peaceful, protest," she told reporters on Capitol Hill. "I have not called for the harm of anybody." Waters has represented a California district in the U.S. House of Representatives since her initial election in 1990. She has also called for Trump’s impeachment. Here’s a look at comments made recently by Waters as well as comments by Trump, largely during his 2016 campaign. Speaking at a June 23, 2018, rally outside a federal office building in Los Angeles, Waters called for increased pressure on the Trump administration over its now-terminated policy separating immigrant families at the border with Mexico. The comments came days after Trump opponents confronted Secretary of Homeland Security Kirstjen Nielsen and White House press secretary Sarah Huckabee Sanders. Waters encouraged protesters to continue booing or harassing Trump administrators in public spaces. We created a complete transcript of Waters’ remarks but have highlighted here the relevant portions. Waters criticized Trump’s family separation policy and demanded that he reunite each child with his or her parents. She also said that Trump opponents would need to continue protesting so that "history (could) recall that we stood up." "Mr. President, we are not afraid of you … and while you think you have gotten away with everything that you’ve done, we are going to show you that you haven’t gotten away with anything. We want the children back. We want them connected to their parents. We want it done now. We are going to insist on it. If you think we’re rallying out here, you ain’t seen nothing yet. "Already, you have members of your Cabinet that have been booed out of restaurants, who have protesters taking up at their house who sang, ‘No peace, no sleep. No peace, no sleep.’ And guess what, we’re going to win this battle ... so let’s stay the course. Let’s make sure we show up wherever we have to show up. And if you see anybody from that Cabinet in a restaurant, in a department store, at a gasoline station, you get out and you create a crowd and you push back on them and you tell them they're not welcome anymore, anywhere ... Mr. President, we will see you everyday, every hour of the day, everywhere that we are to let you know you cannot get away with this." Later, Waters told reporters that Trump’s tweet was a misrepresentation of her words. "Trump is the one who's creating lies, trying to have people believe that I talked about harming people," she said, according to CNN. "There is nowhere in my statement -- any time, any place -- that I talked about harm." That same day, during a live television interview with MSNBC’s Chris Hayes, Waters reiterated her focus on re-connecting separated families and said, "I did not call for harm for anybody. The president lied again … I believe in peaceful protest." "I would not in any way support any violence, anybody being hit or beaten," she added. "This president is guilty of all of that." In June 2017, Sanders said that the president never promoted or encouraged violence. We rated that statement False. We tracked down several examples of Trump’s comments invoking violence during the 2016 campaign. The clearest example was at a campaign event in February 2016 when Trump told a crowd in Cedar Rapids, Iowa, "So I got a little notice. We have wonderful security guys. It said, ‘Mr. Trump, there may be somebody with tomatoes in the audience.’ So if you see somebody getting ready to throw a tomato, knock the crap out of them, would you? Seriously. Just knock the hell .... I promise you, I will pay for the legal fees. I promise. I promise." As a review of the video shows, Trump was not smiling or chuckling as if this was intended as a joke. • "Throw him out! ": In November 2015 at a rally in Alabama, Trump said about a protester, "Get him the hell out of here, will you, please? Get him out of here. Throw him out!" The following day, calling into Fox News, Trump responded to a question about allegations that the protester had been "roughed up." The protester, Trump said, had been "so obnoxious and so loud ... maybe he should have been roughed up. Maybe he should have been roughed up. Because it was totally disgusting what he was doing." • "I’d like to punch him in the face": In February 2016, at a rally in Las Vegas, Trump again responded to a protester: "The guards are very gentle with him. He’s walking out with big high-fives, smiling, laughing. I’d like to punch him in the face, I’ll tell you,"
• "The audience hit back": March 2016. At an event in Palm Beach, Fla., Trump referred to a past incident with protesters. "We have had a couple that were really violent, and the particular one when I said I'd like to bang him, that was a very — he was a guy who was swinging, very loud and then started swinging at the audience and the audience swung back, and I thought it was very, very appropriate. He was swinging, he was hitting people, and the audience hit back, and that’s what we need a little bit more of." • "I would have been out there fighting": March 2016. At a rally in Kansas City, talking about someone who had rushed the stage, Trump said, "I don't know if I would have done well, but I would have been out there fighting, folks. I don't know if I'd have done well, but I would've been — boom, boom, boom. I'll beat the crap out of you." In July 2017, Trump appeared to give police officers the go-ahead to rough up suspects in a speech to law enforcement officers on Long Island. "Like when you guys put somebody in the car and you’re protecting their head, you know, the way you put their hand over? Like, don’t hit their head and they’ve just killed somebody — don’t hit their head," Trump said. "I said, ‘You can take the hand away, okay?’ "
"When you see these thugs being thrown into the back of a paddy wagon — you just see them thrown in, rough — I said, please don’t be too nice," Trump added. The White House downplayed Trump’s comments days later in a July 31 press briefing. "I believe he was making a joke at the time," Sanders told reporters. Whether either Waters’ or Trump’s comments qualify as incitement to violence is questionable. Kermit Roosevelt, law professor at the University of Pennsylvania, told PolitiFact that Waters’ comments were not inciting violence. "Waters is encouraging protest and harassment (both of which are usually protected by the First Amendment, although at some point harassment would not be)," he said. Lee Rowland, a senior staff attorney at the ACLU said that the Supreme Court has set a high bar on whether speech can be considered an incitement to violence. "In Brandenburg vs. Ohio, the court ruled that the First Amendment permits liability for incitement only when speech is intended and likely to cause imminent and serious lawlessness. It’s a high bar for a reason, and Trump’s conduct at the rally didn’t meet it," she told us in 2017.